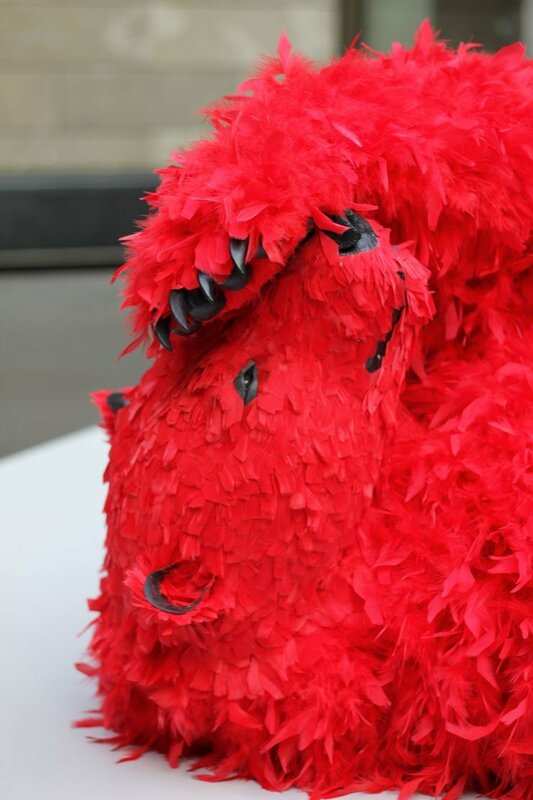 Who else thinks this bear pictured is simply fabulous? 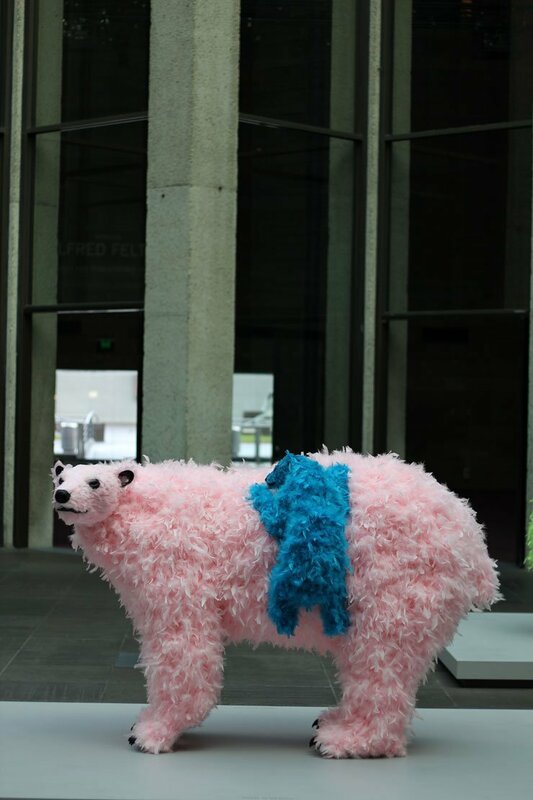 Titled “Tell me when you’re ready” this bear is part of an installation currently on display in the Federation Court at NGV International by Italian artist Paola Pivi. 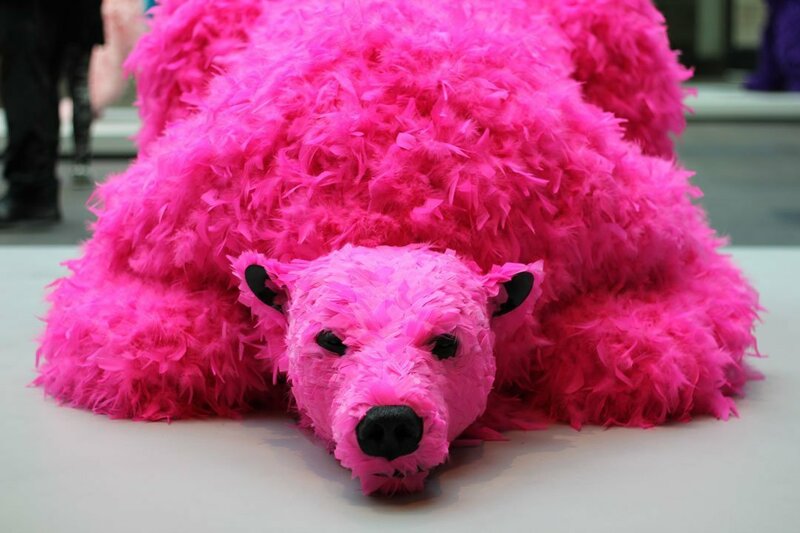 There are eight of these bears, each adorned in neon-coloured feathers and posing or frolicking in a way that makes you smile. When I saw these bears a few weeks ago, I was amazed to hear from the Senior Program Co-ordinator I was meeting with that these fellows all came in as bare bears. The time and dedication it would have taken to adorn each of these fellows so beautiful is mind boggling. It’s hard to do these bears justice in photos because they’re so intricate and interesting to observe and move around in real life, but here are a few snaps I took to remember them by. 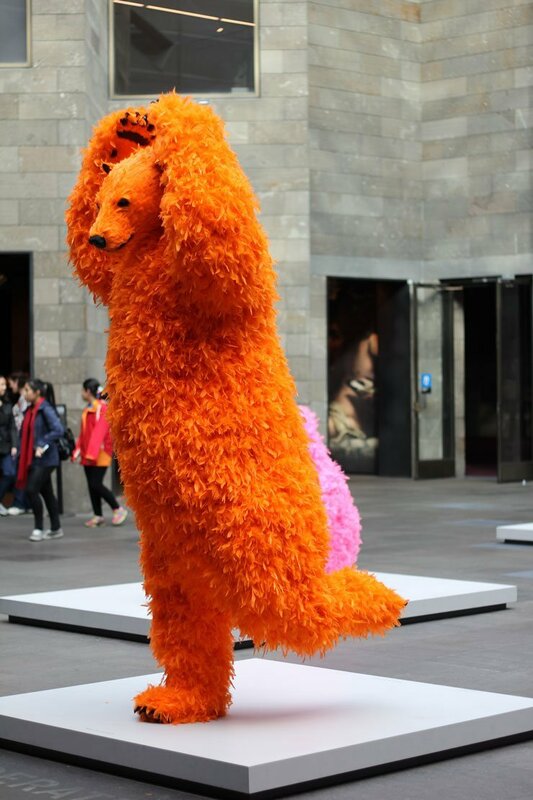 If you’re looking for something to do in Melbourne with kids these school holidays, I highly recommend stopping by the NGV to check out this free and fun installation. 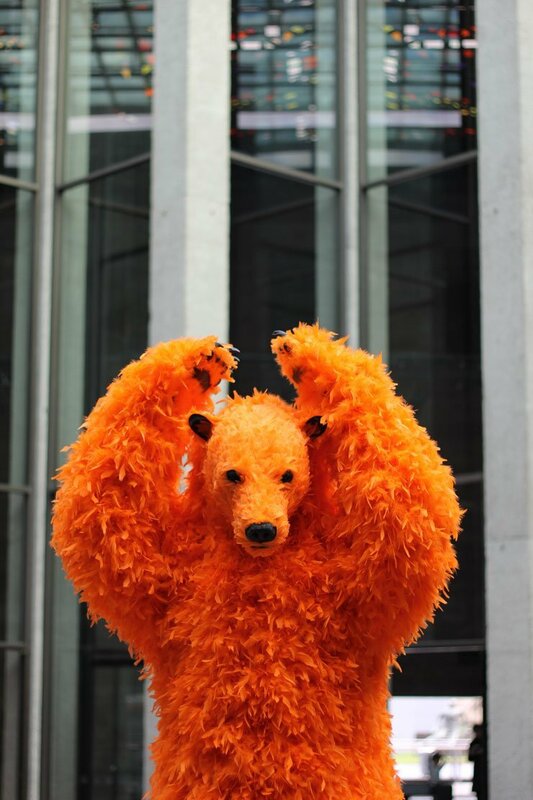 The bears delight all ages and the only thing you’ll need to be ready for is to strike a pose. 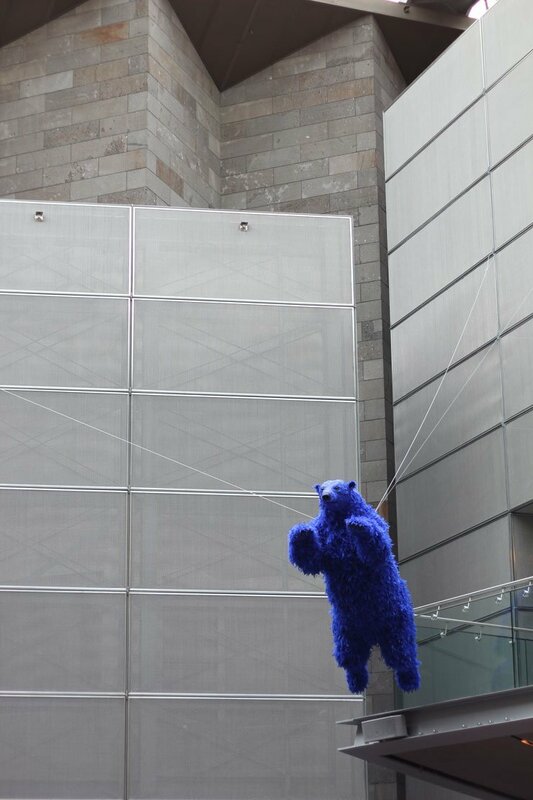 In taking these photos I watched person after person mimic the movements of those on the ground level to capture their moment with the bears. 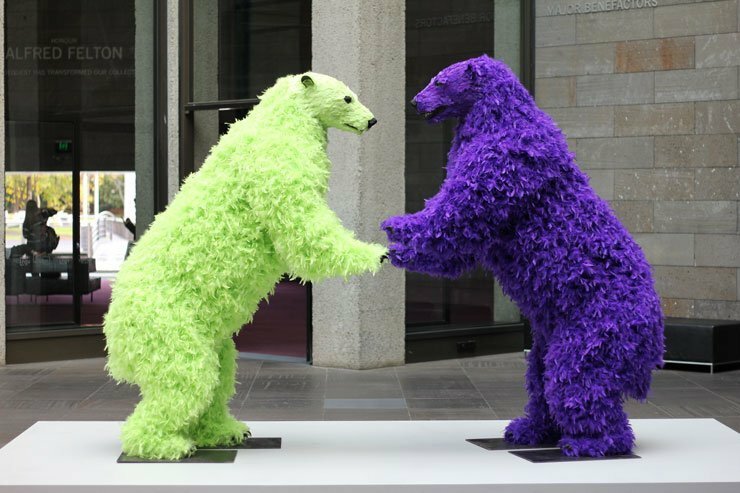 The Paola Pivi bears will be at the NGV International until August 31, 2014 and and you can find out more about it here.